If you’re planning a destination wedding, chances are you’ve reached out to a couple of hotels to find out about wedding dates and hotel rates. 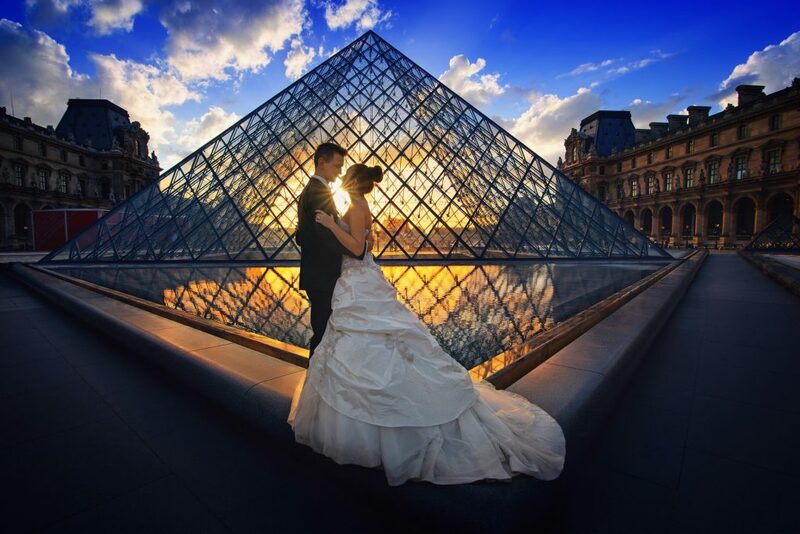 But what you may not know is that booking your destination wedding direct with the hotel offers many less benefits than booking with a Bliss travel agent. How can that be, you ask? Well, here’s a few reasons why. The hotel you’re speaking with won’t tell you that it may not be the right hotel for you. All too often we see couples booking their wedding date at a hotel, only to learn after speaking with us that this hotel won’t meet the needs of their guests. In most cases, wedding deposits are non-refundable. So before you commit to a hotel by booking direct, let a Bliss travel agent help by reviewing your guest list as well as your wish-list to make sure that it’s the right fit for you. Hotels offer hotel rooms, but we offer complete packages. When you book your wedding group directly through the hotel, you’re given a group code to give to your guests. Your guests have to make their own hotel reservations, and then try to figure out their flights, transfers, and insurance on their own. We’re a one stop shop! So instead of every one of your guests going through the hassle of booking direct with the hotel, they can all book their hotel (at the group rate), flights, transfers, and purchase travel insurance directly with a Bliss travel agent. The hotel can’t get you to the hotel. Here is a little-known fact: most hotels in the Caribbean and Mexico don’t own their own shuttles. You don’t want your guests to have to figure out how to get to the hotel and back on their own. And no one wants to spend an extra hour or two in a shuttle that stops at several hotels on the way to their hotel. We typically utilize non-stop shuttles and can offer private transfers at a very reasonable rate. Guest list & payment management. When booking your wedding direct with the hotel instead of with a travel agent, you’re responsible for keeping track of all of your guests’ information. You’re also the one that will have to chase around your guests to make their reservations and payments. At Bliss, we manage all the payments, and provide both you and the hotel with a complete manifest, saving you countless hours and frustration. Hotel only perks vs. package perks. At Bliss Honeymoons we’ve negotiated hundreds of group contracts. Through our wholesaler partners, a Bliss travel agent sometimes have access to comps that aren’t available through the hotel direct, like “bride & groom” fly free, free upgraded transfers, or other benefits that booking direct with the hotel can’t provide. We build a wedding site and manage all of the communication. 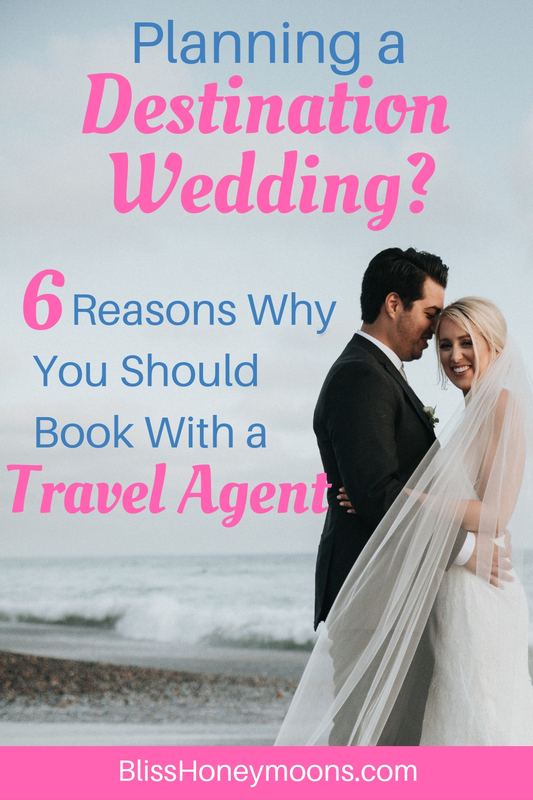 When you are booking a room block direct with the hotel and not with a travel agent, you have to create and build your wedding site and try to figure out what the best way is to keep your guests in the loop. At Bliss Honeymoons, we manage all of the communication. So all you really have to do is focus on planning your ceremony and reception. Some hotels may provide an e-save the date that you can send out. But that’s typically about it. Don’t get us wrong – the hotels do a great job! But there are a ton of advantages to having a Bliss Honeymoons travel agent manage your wedding vs booking direct.